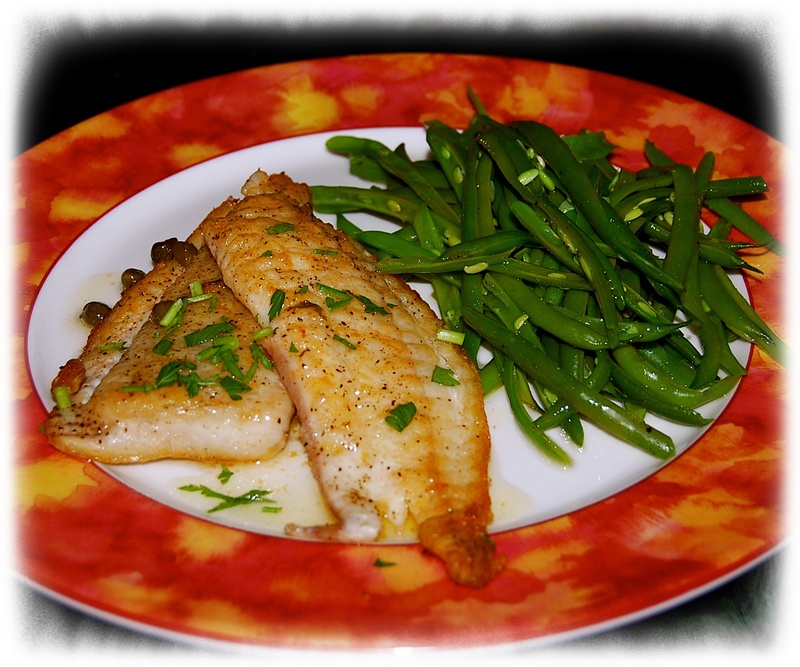 Many years ago we were able to find Dover and lemon sole every now and again, but since I live in a fabulous fishing community fresh flounder is the go to fish for this dish an easy and tasty dinner served with oven steamed vegetables or green beans. A hot sauté pan, a little chopped fresh parsley, clarified butter, lemon and * optional a few capers are the simplest of ingredients necessary for a wonderful dish. I pretty much stick to an adapted Julia child recipe as I have seen so many other recipes with additional ingredients, that, quite frankly can overwhelm the fish when it is fresh caught. 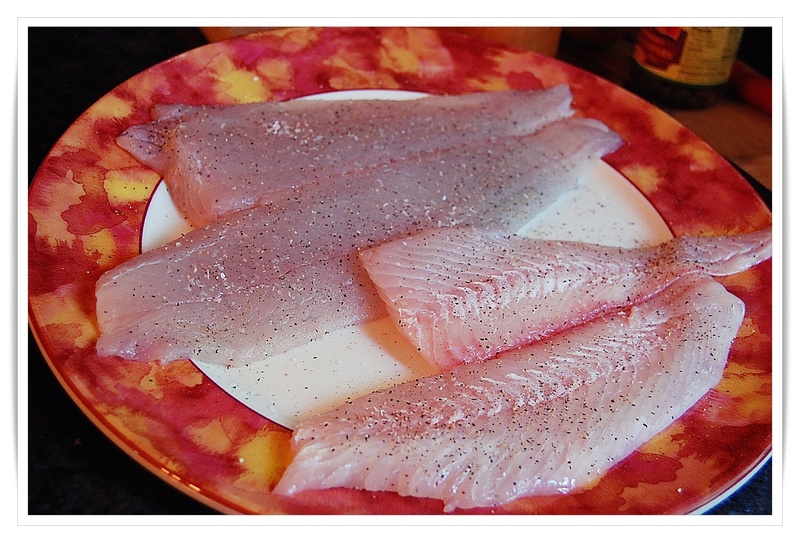 Pat the fillets dry with paper towels and lightly season both sides of the fish with salt and pepper. Heat a sauté pan over high heat and add 2 tablespoons of butter and lightly dust the fillet with flour and sauté in the hot butter 1-2 minutes on the first side, turn and sauté for another 1-2 minutes. I sautéed in two batches, the thicker fillets took a little longer than the thinner thin pieces. Remove fillets to a heated platter, add 2 tablespoons of the clarified butter to the pan, heat and squeeze the lemon juice over, toss in the lemon half, throughly heat. Toss in a few capers if using, pour over fillets and serve with additional lemon wedges for lemon lovers. 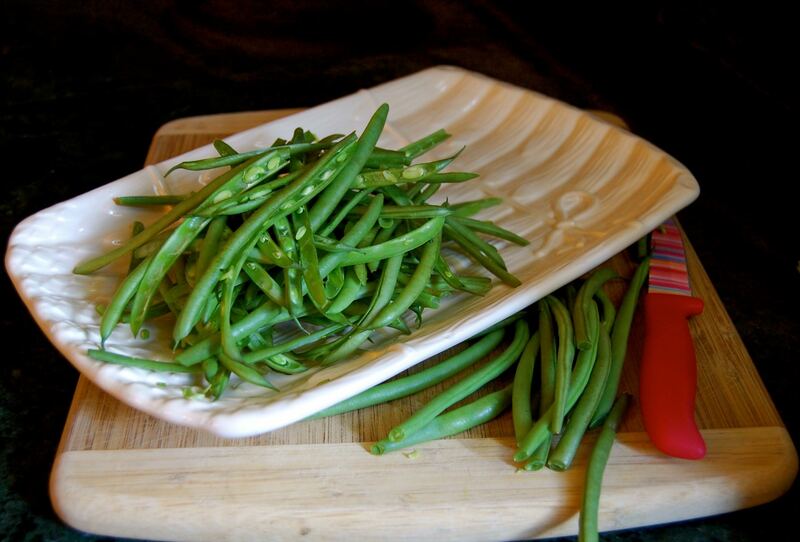 The green beans are just as easy and certainly company worthy along with the fish…Sadly the best way to Frenchify the beans is with a green bean frencher, not a readily available tool in my neck of he woods and mine was found buried in the bottom drawer long after I took the time to slice the tiny beans in half, not a task for a full dinner table, but for two not so bad. The frenched beans were briefly blanched in boiling water for about 3 minutes, strained, seasoned with salt & pepper, drizzled with EVOO and Sherry vinegar. If you had the presence of mind to call the fish market ahead of time to have your filleted fish ready for you, this meal falls into the dinner in 15 minutes or less category. Hint make plenty of clarified butter once and store it in the refrigerator for many uses.